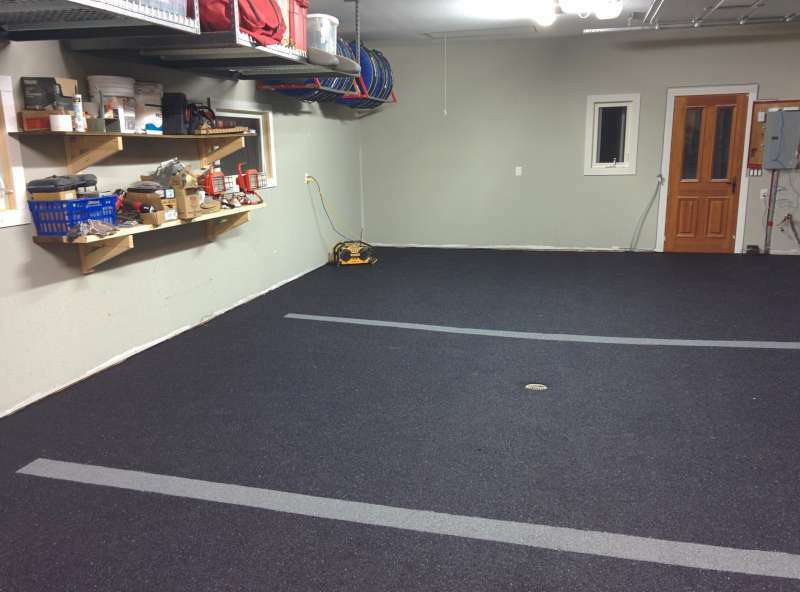 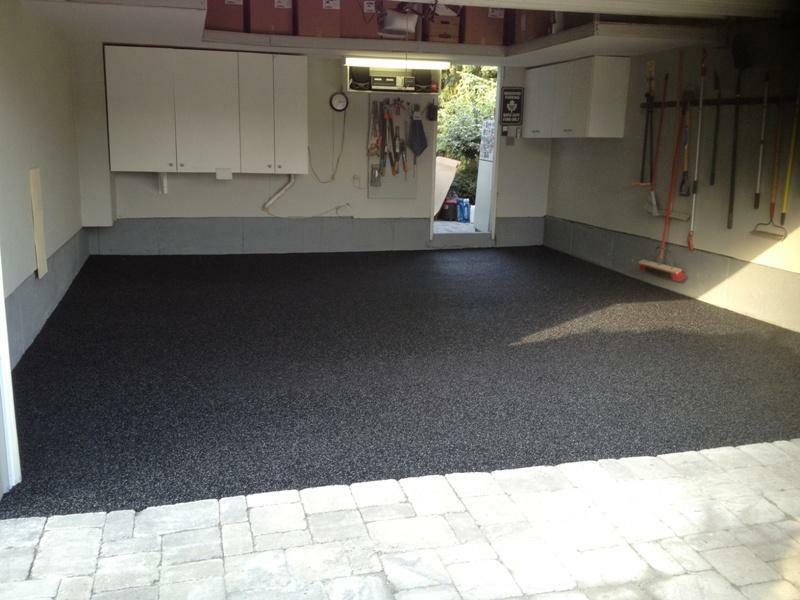 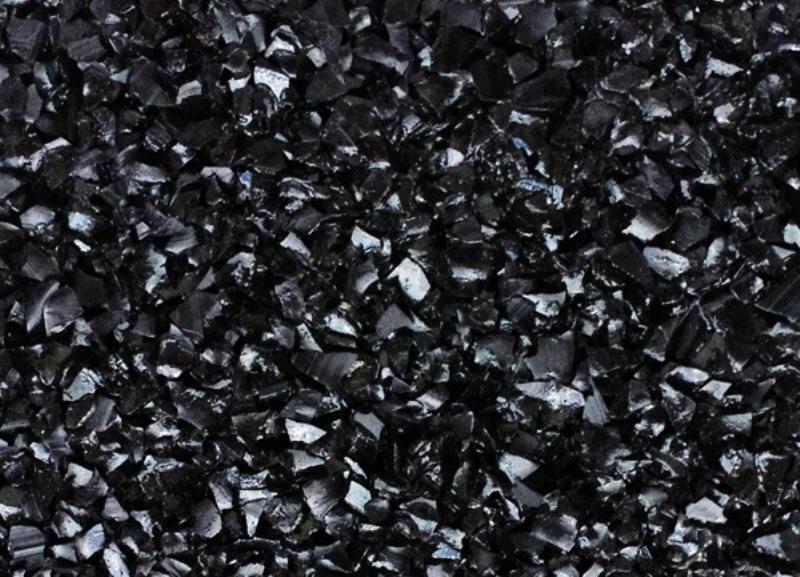 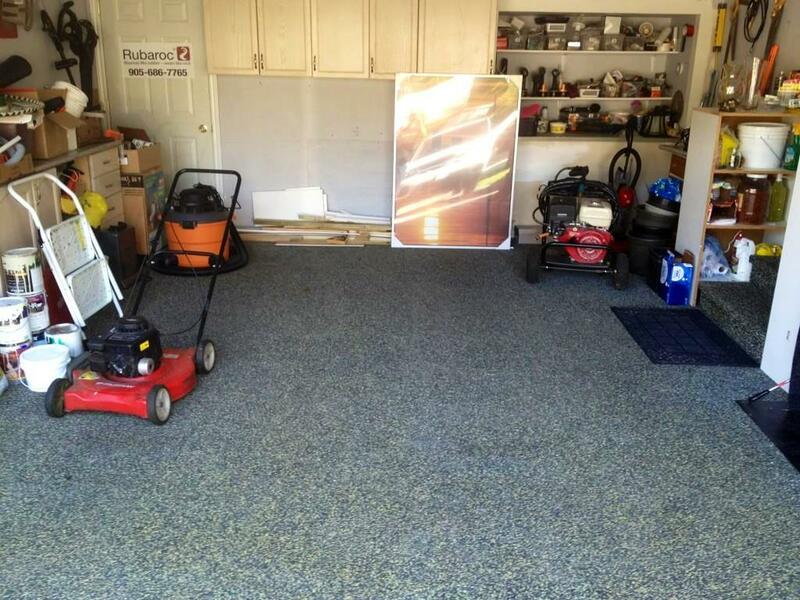 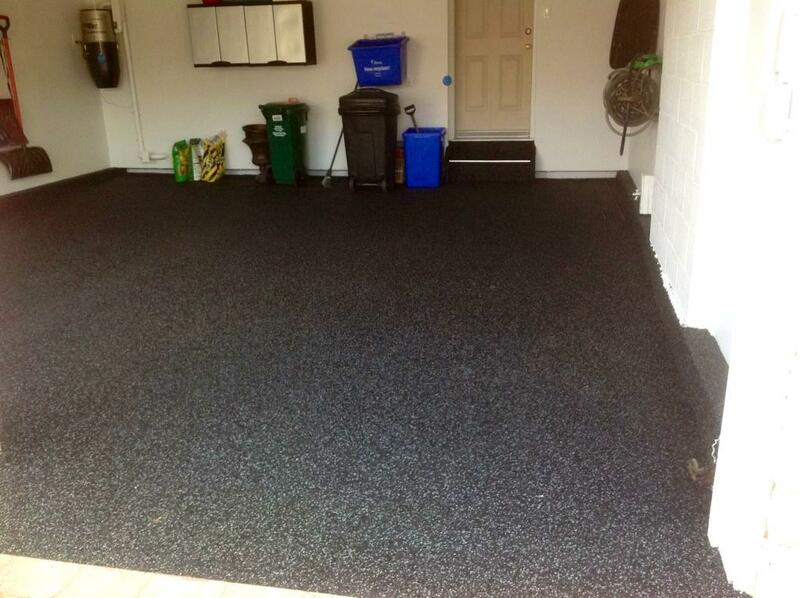 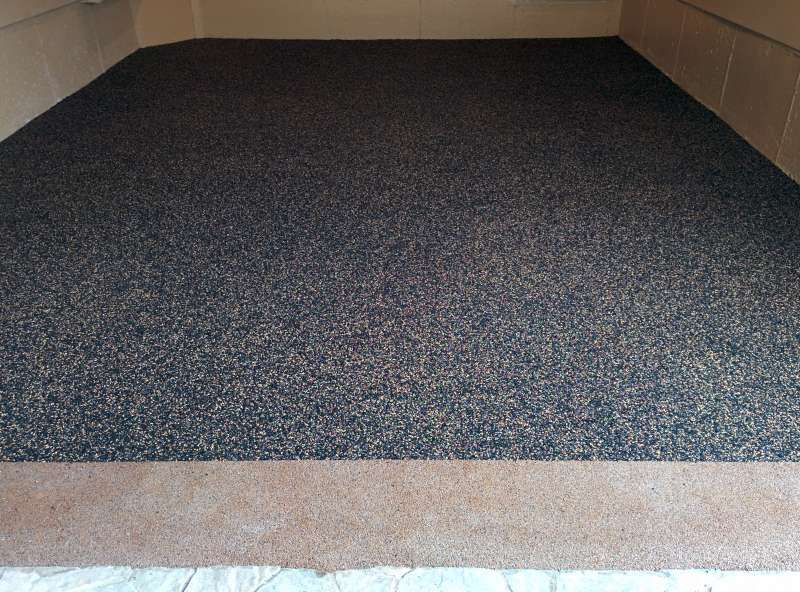 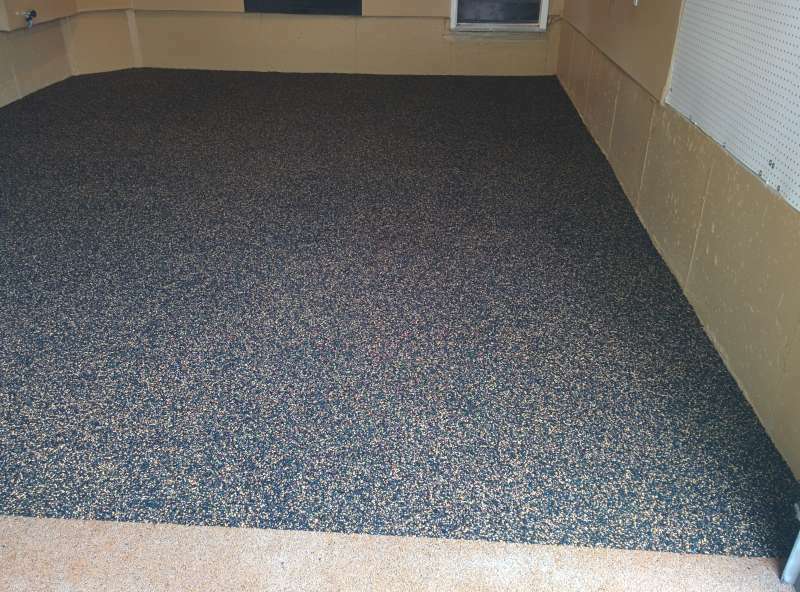 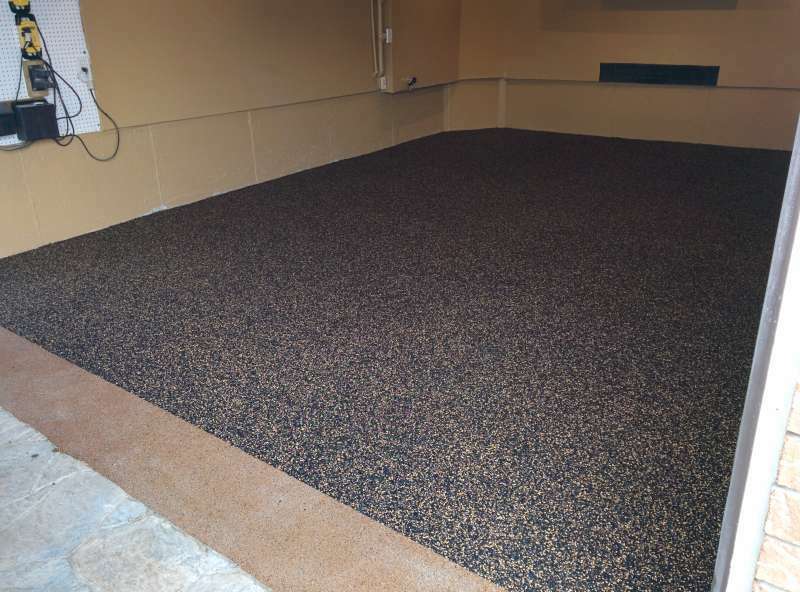 Driveways and garages are comprised of a denser rubber granule than other applications and an extremely strong polyurethane resin. 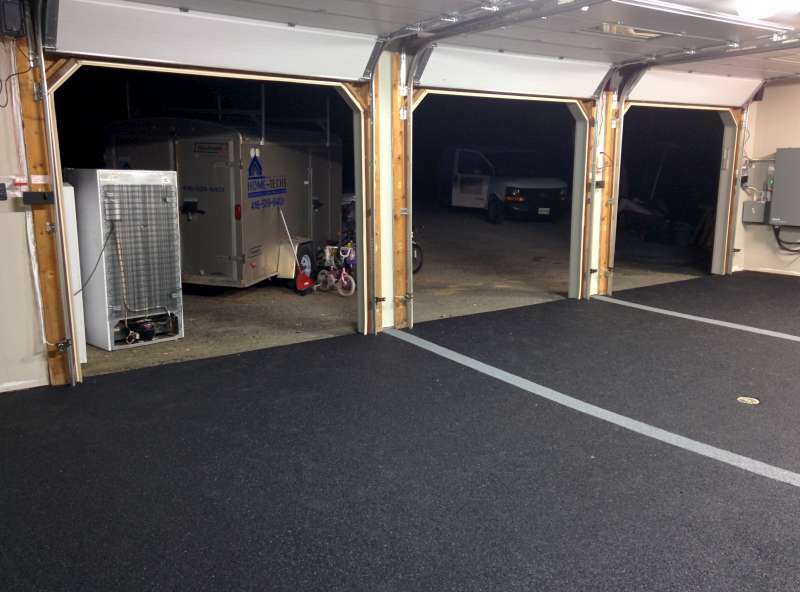 The system has been designed for use with the heaviest cars and trucks. 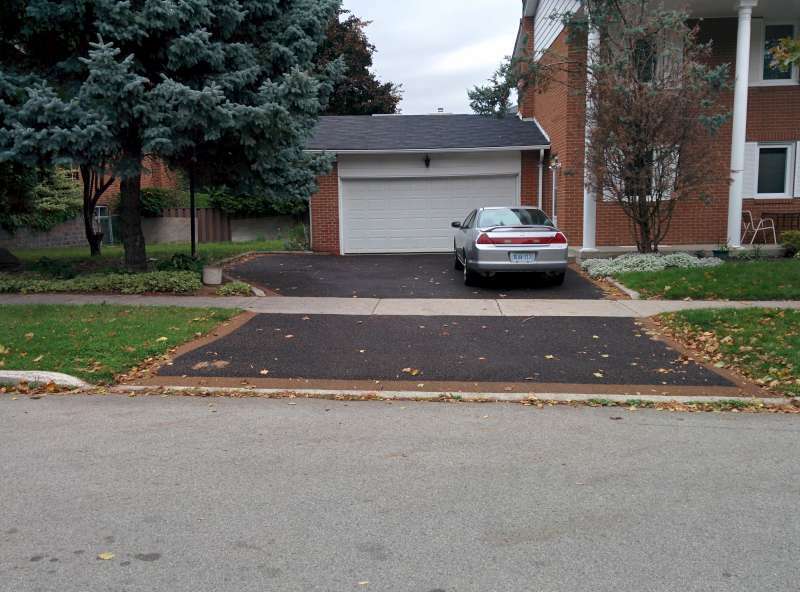 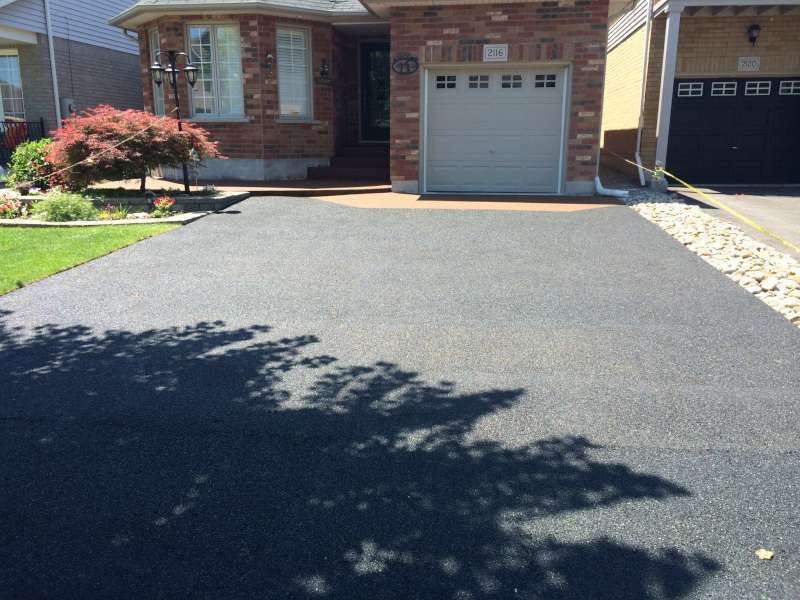 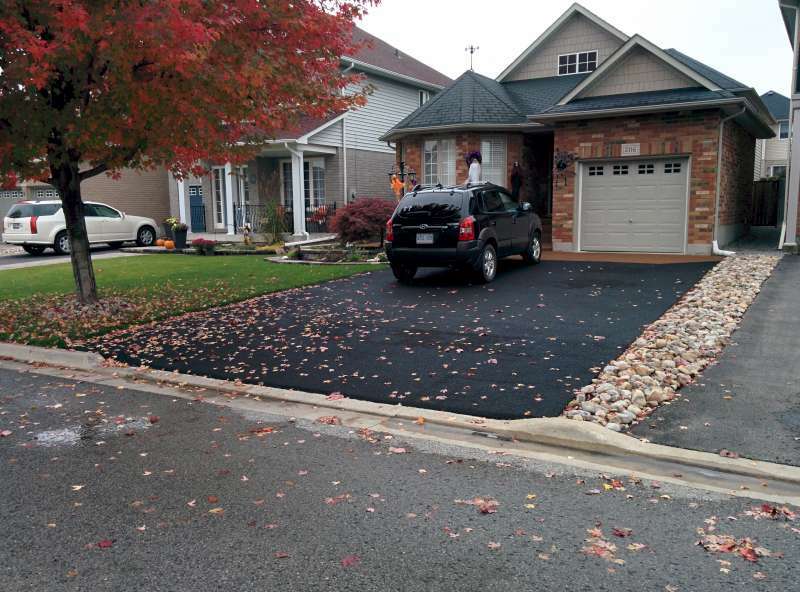 Our driveway paving system expands and contracts to accommodate temperature change and ground movement eliminating cracks and shifting that traditional asphalt, concrete, and interlocking stone driveways suffer from. 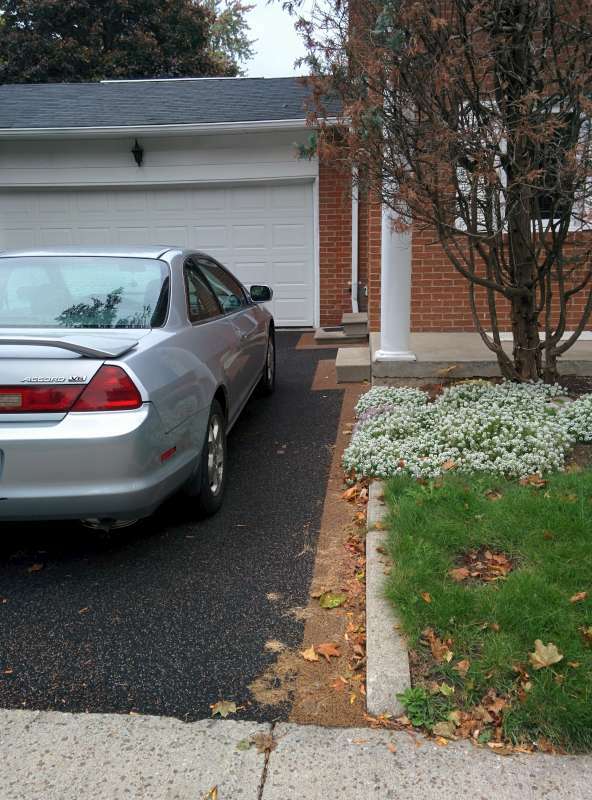 Details: A custom designed front entry and driveway combination. 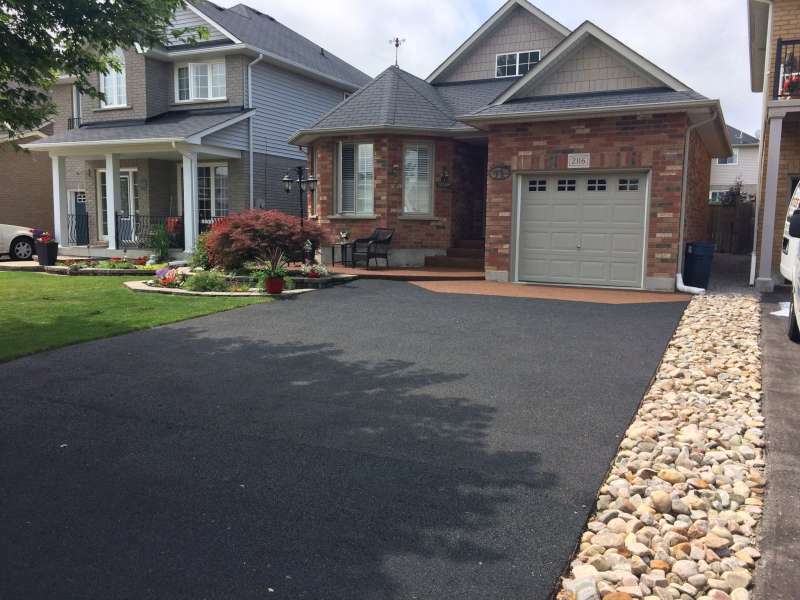 Old asphalt and cracked front steps were resurfaced using a combination of paving rubber and EPDM rubber to create this beautiful driveway and front entry. 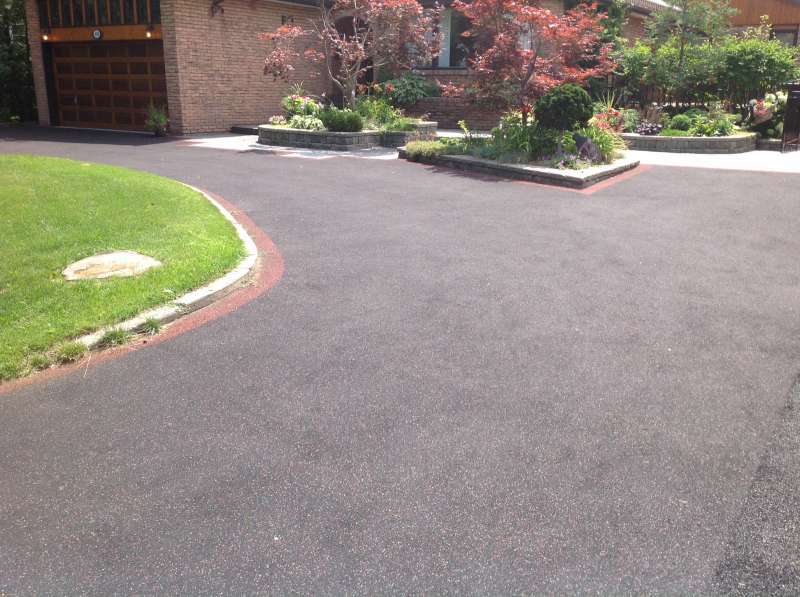 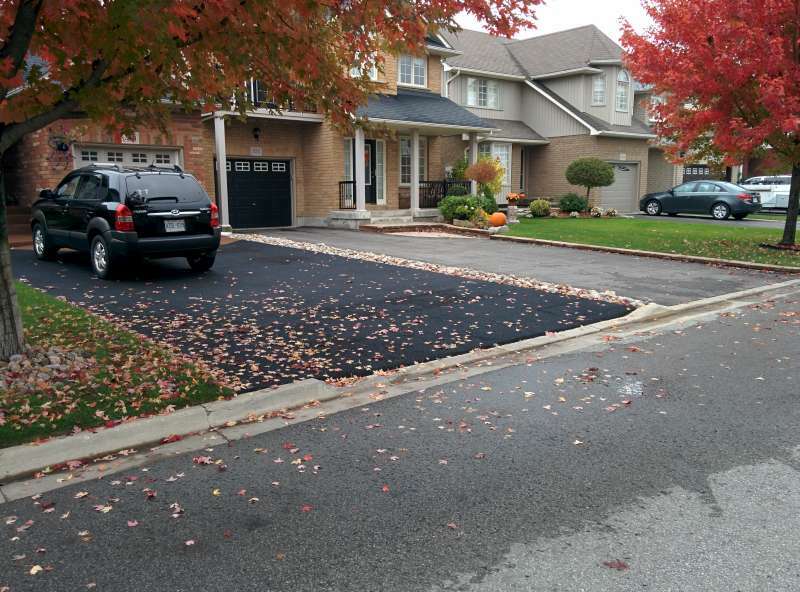 Details: Paving rubber and resin were used to resurface this older asphalt driveway. 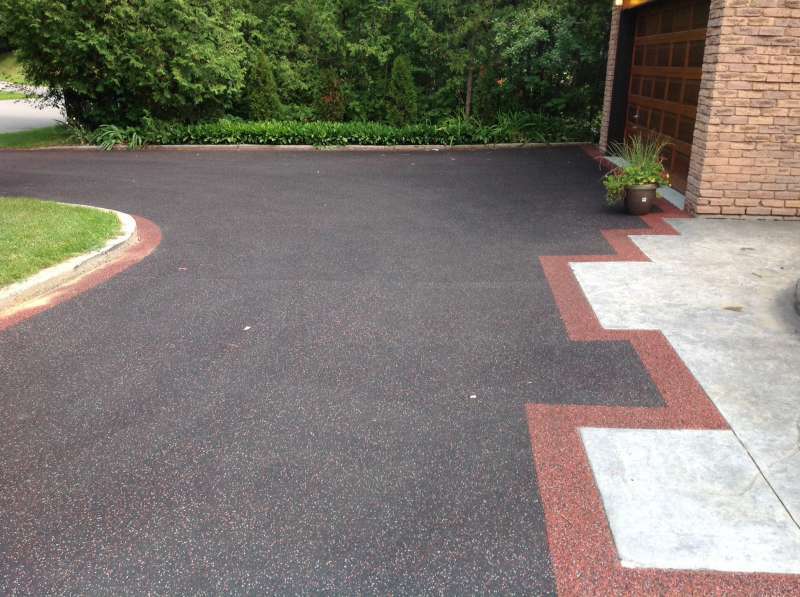 The main area is 90% black with a grey and red flake mixed in to match the house, and the boarder is 90% red with a grey and black flake to create a unique and custom designed driveway. 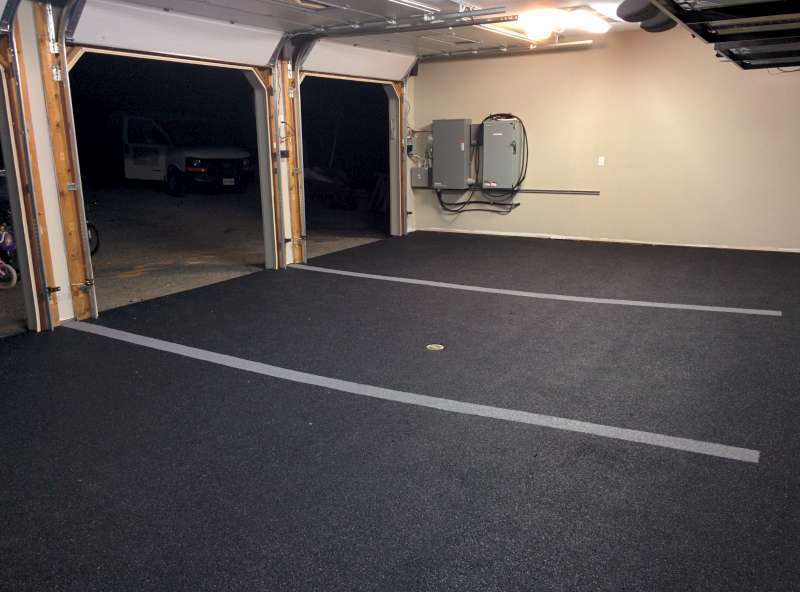 Details: Standard one car garage was in need of a facelift. 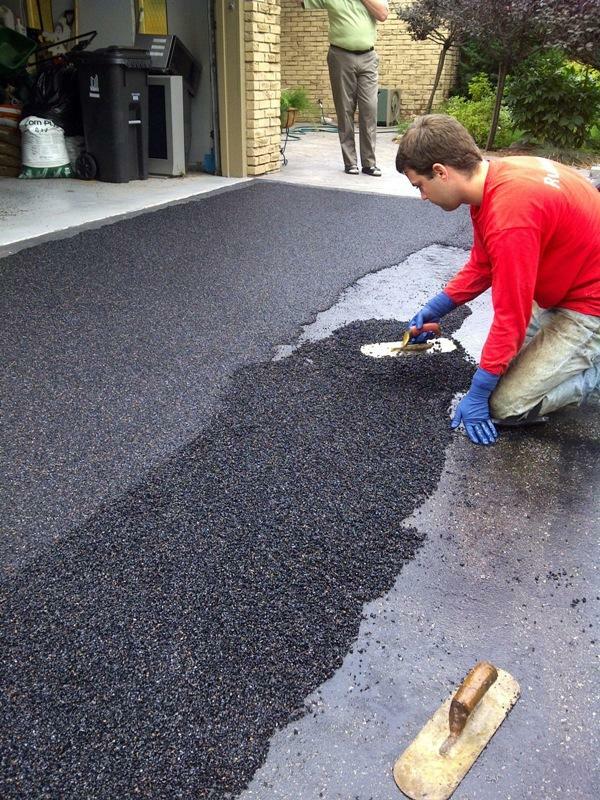 Old concrete was resurfaced using black paving rubber mixed with a brown colour flake. 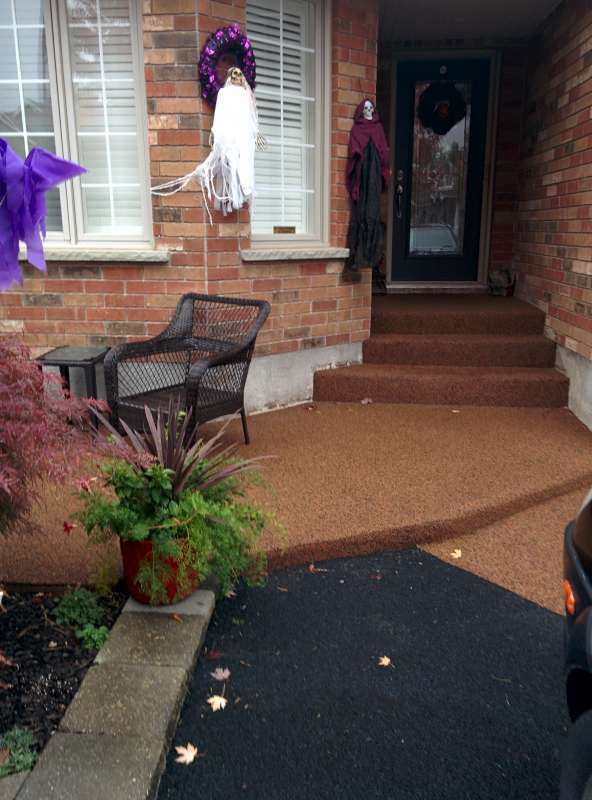 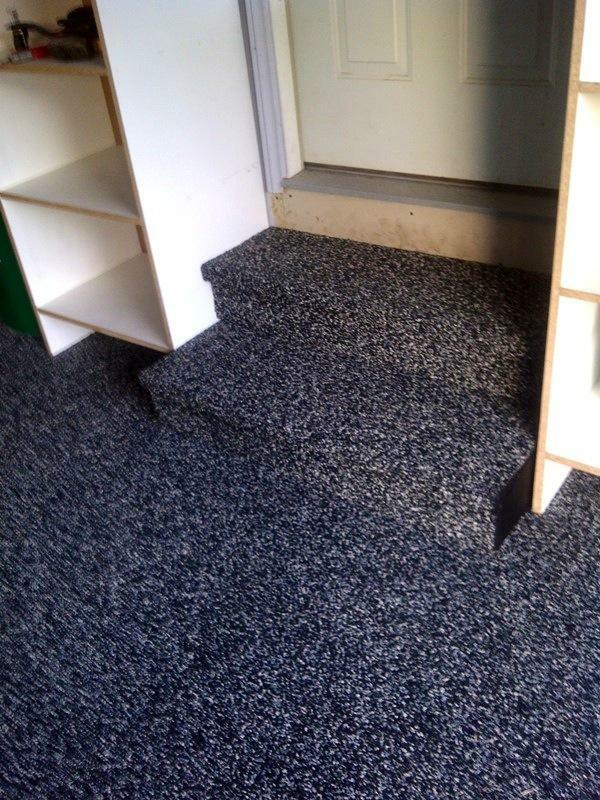 A front transition strip was added in brown for an added design touch. 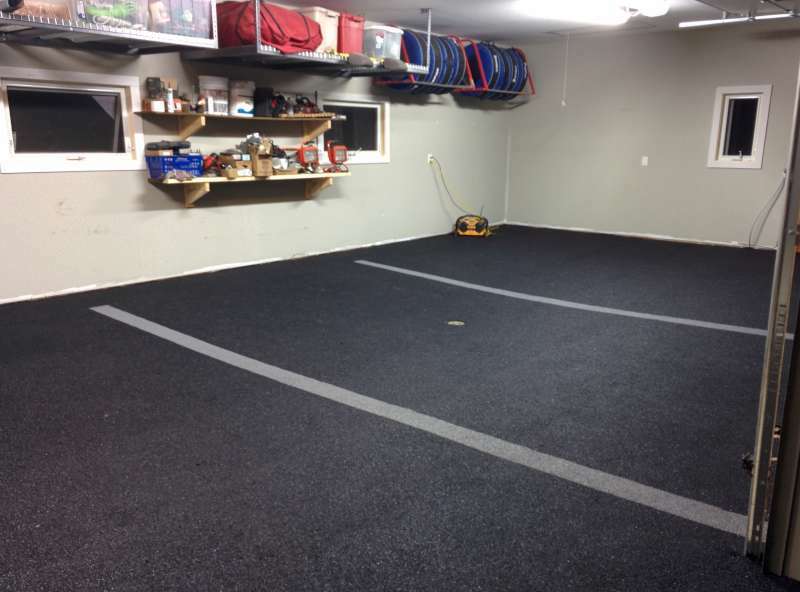 Details: The finishing touch on this country home renovation is the man cave garage. 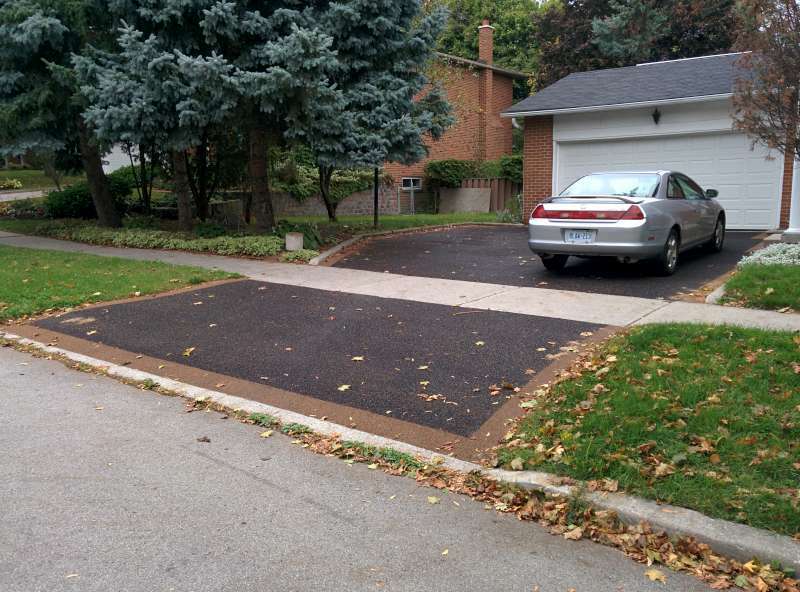 Solid black paving rubber and custom grey lines to separate the parking bays complete the design. 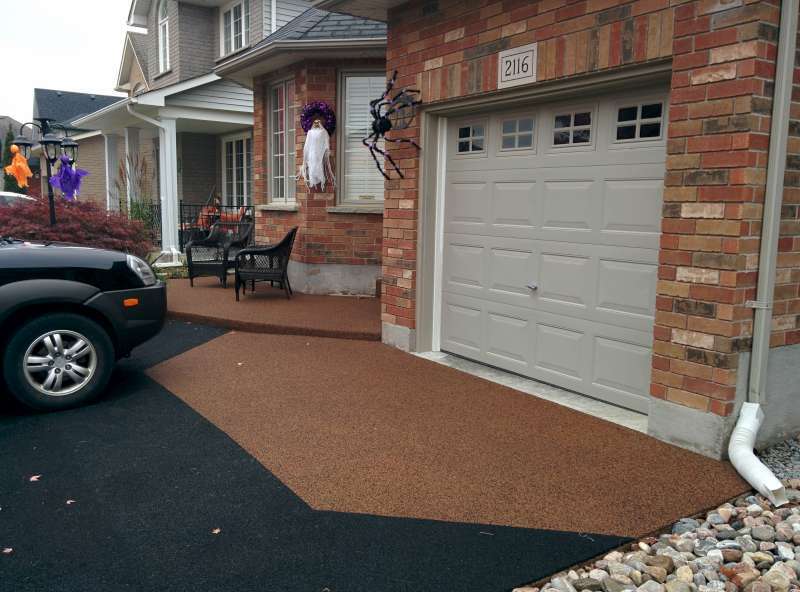 Details: A black paving rubber driveway with a brown EPDM flake added to match the bricks of the house and create a custom curb appeal. 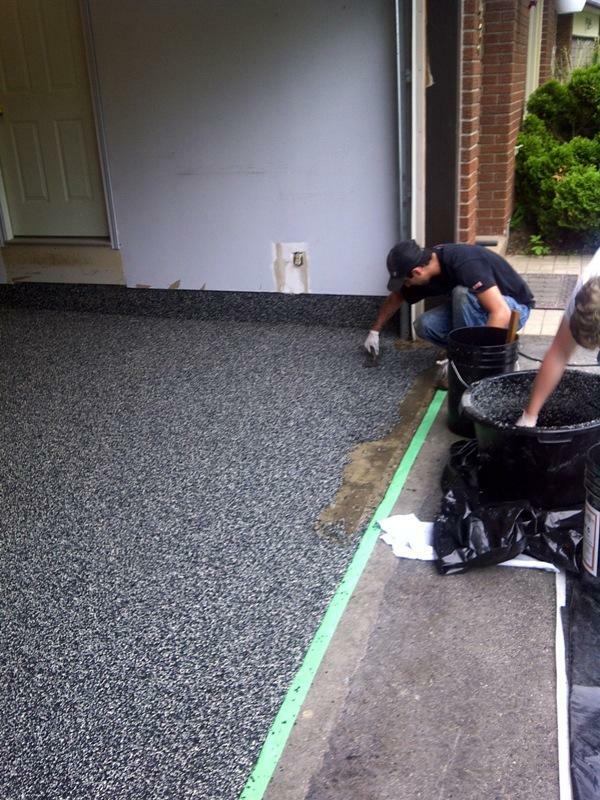 The boarder is predominantly brown with a black flake added to tie the area together. 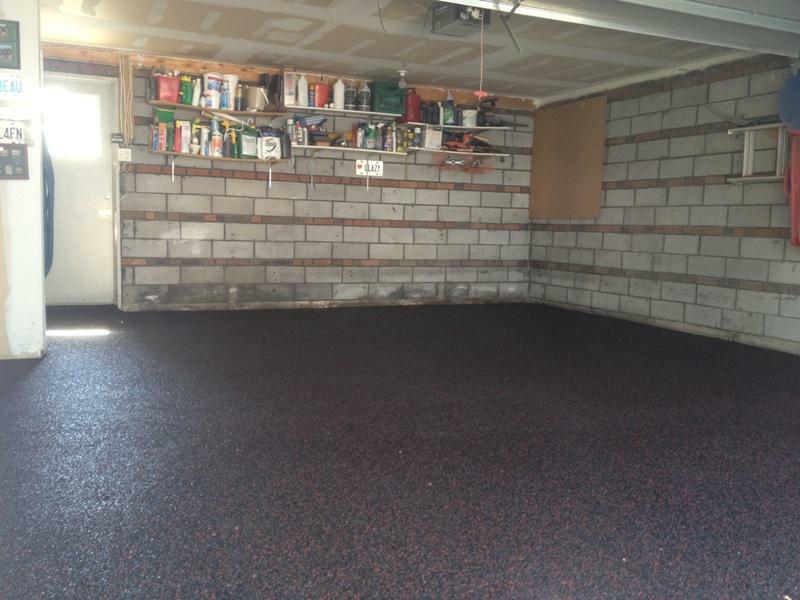 Details: Old garage that was in need of a fresh new look. 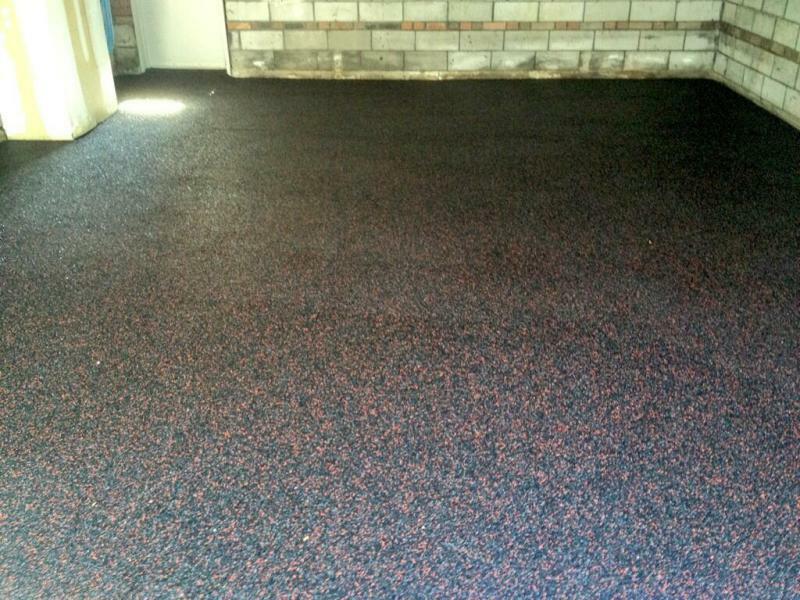 A black paving rubber base mixed with a red and grey colour flake.